Drawing from her life experiences as a teacher, coach, volleyball club director, mentor, and Freedom Challenge Climber, Shelly creatively weaves her life stories and the lessons she has learned into dynamic and engaging presentations on the subjects of leadership and teamwork. Shelly Ginter Conrad is a 1985 graduate of Laker High School (Pigeon, Michigan) where she was a multi-sport athlete—earning 12 varsity letters through participation in volleyball, basketball, softball and track. She was a three-sport all-conference selection, two-sport all-area selection, and two-time Michigan High School Athletic Association all-state selection in volleyball. The highlights of her high school athletic career were her two trips to the state semi-finals in volleyball in 1984 and 1985. Shelly’s dream of playing NCAA Division I volleyball was fulfilled when she accepted a full athletic scholarship to play for Baylor University in Waco, Texas. Shelly earned playing time as a freshman, was the team’s starting setter her sophomore through senior seasons, and was honored as the team captain and most valuable player her senior year. Shelly is currently ranked 8th all-time at Baylor in career assists. In 1990, she graduated from Baylor with a Bachelor’s Degree in Education, majoring in physical education and minoring in special education. Shelly has been coaching and training volleyball players for more than 28 years and has been involved in many aspects of the sport, to include coaching at the varsity, junior varsity, and middle school levels; founding, directing, and coaching a successful USA Volleyball (USAV) Junior Club in the Dallas (TX) area; serving as an elected representative on regional and national USAV junior boards; teaching private lessons; and directing summer camps, clinics, and volleyball academy programs. As an educator, Shelly has taught both elementary and high school physical education and has worked as an adapted physical education teacher for students with learning differences and physical challenges. ​After living, teaching, and coaching in Texas for 30 years, Shelly, along with her husband, also a Baylor alumni, and daughter, relocated to Frankenmuth, Michigan in 2014. The opportunity to return to Michigan and live near her hometown and parents (John and Kathy Ginter of Elkton), was a welcome change from living in the suburbs of Dallas since 1993. In 2017, Shelly returned to coaching high school volleyball when she took on the head varsity volleyball coach position at Frankenmuth High School. Currently, Shelly also spends time training elementary-age volleyball players as part of a program she founded, Muth Volleyball Academy. Shelly is an outdoor adventurist whose hobbies are hiking, climbing, and mountain biking! She loves the challenge that outdoor activities provide and she only wishes she would have picked up those passions much earlier in life. Her 2013 Mount Everest Base Camp/Kala Patthar Freedom Challenge experience lit a passion inside her to pursue more adventures as such in the future. Shelly is currently training to climb Mt. Rainier in 2019. Shelly has been married to her husband, Christopher Conrad, for 25 years. They met at Baylor University (Waco, Texas) while Christopher was finishing his Master’s Degree and Shelly was on a recruiting visit. Shelly and Christopher have two children. 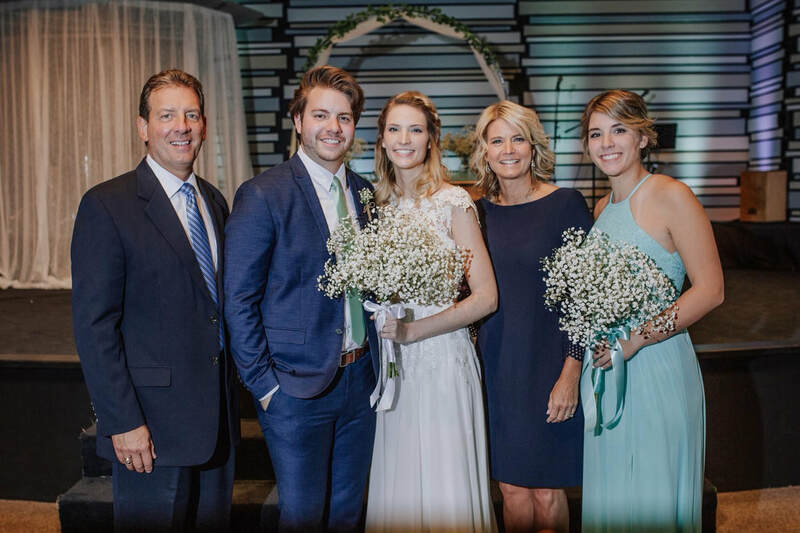 Their son, Christian, and his wife (Abby) reside in Frisco, Texas where Christian serves as the Student Ministries worship director for Stonebriar Community Church; and their daughter, Jordyn, attends Frankenmuth High School where she is a student-athlete.